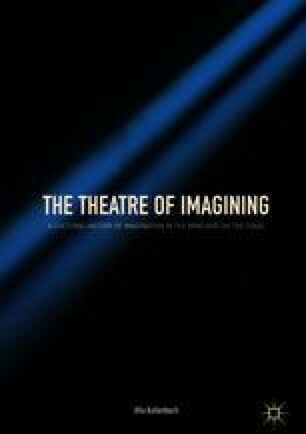 This chapter analyzes the redefinition and reappraisal of imagination that took place in the late eighteenth century and early nineteenth, initiated by Immanuel Kant and developed by, for example, Samuel Taylor Coleridge. Imagination was redefined as a productive or creative force with several functions and sub-functions, allowing for a new, affirmative appraisal that takes imagination from the metaphor of the reflecting mirror to that of the lamp exuding a divine light from and onto the imaginer. Kallenbach here traces how imagination becomes re-evaluated as a superior faculty that is both a precondition for knowledge and the agent for aesthetic judgment. Imagination gradually becomes synonymous with ideality and the rare gift of the genius. Wordsworth, Jonathan. “‘The Infinite I Am’: Coleridge and the Ascent of Being.” In Coleridge’s Imagination, edited by Richard Gravil, Lucy Newlyn and Nicholas Roe Cambridge: Cambridge University Press. Cambridge Books Online, 1985, online publication 2009. https://doi.org/10.1017/CBO9780511659324.